FAT CAN BE FATAL – REDUCE SUGAR INTAKE NOW! Although many blame family genes for these extra pounds, actual determinants of health are: medical 10%, heredity 16%, environment 21%, and Lifestyle Choices 53%. Daily decisions on food, movement, sleep, stress, relationships, work … can lead to a life of illness or wellness. When food choices contain sugar and refined carbohydrates the body responds by producing high levels of insulin and triglycerides can’t break down. Bad cholesterol (LDL) increases, and the fat stores itself in the body especially the deep abdominal region, known as “belly fat” or visceral fat. This gel-like fat releases a hormone (interleukin-6) that increases chronic inflammation around the organs and creates health complications. The only way to reduce visceral fat is to lose weight. Sugar is not a sweet alternative to health and wellness and the earlier one controls or eliminates it from food choices the better the body will function. Although fruit is a healthy food, the sugar content in some items are very high and best eaten in small amounts. 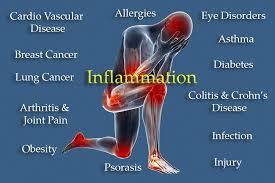 Many chronic diseases are preventable however, positive action steps can create a successful outcome. The first steps towards a lifestyle of health & wellness is to understand your daily consumption of food, especially sugar. There are many food and fitness apps on the web to track your food intake according to CNET . However, the old-fashioned way of posting a chart on the kitchen refrigerator highlighting the grams of sugar, carbs, fat, and fiber per food choice is often more helpful in stopping one from reaching for ice cream late at night. Download a food inventory chart and a list of sugar content in fruit and then get ready to take more steps to wellness.